0.5kg of Grey PLA eSUN Filament spooled and ready for use on 3D Printers with 1.75mm Hotend Assemblies. Enjoy some of the highest quality filament on the market at very affordable prices. PLA filament is easy to use and environmentally friendly, making the one of the most commonly used filaments available. 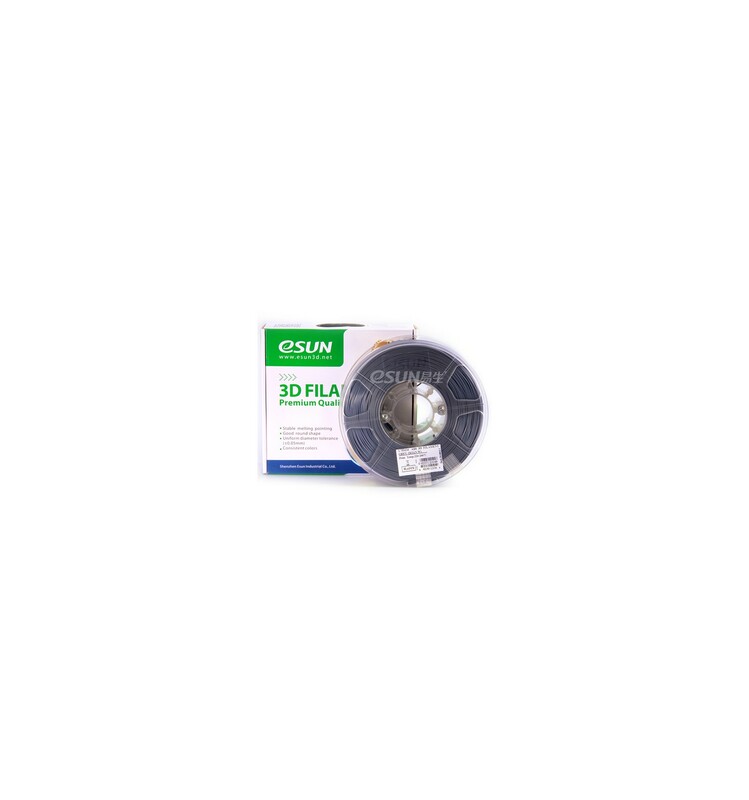 PLA 3D printer filament is one of the most commonly available types of plastic alongside ABS and is known for its low required printing temperatures and resistance to warping. PLA stands for Polyactic Acid, which is a biodegradable plastic made from materials like sugarcane and corn starch. This also means that it’s non-toxic, non-harmful and environmentally friendly – all while offering the quality-of-life benefit of a sweet and safe aroma during the printing process. Compared to ABS, or Acrylonitrile-Butadiene Styrene, PLA is far easier to use for both beginners and veterans, as long as the application for printed items does not involve high temperatures. PLA is an ideal type of plastic for beginners, as it is both safer and easier to use than a majority of other plastics. This, however, doesn’t mean it’s not appropriate for advanced projects, as veterans also utilize PLA for a wide variety of applications. What it does mean is that PLA is a great starting point before trying out more difficult plastics like ABS and PETG, as it allows more margin for error, with wider temperature ranges and an easier-to-manage Melt Flow Index. This directly translates to smoother and more stable prints, with very little testing and learning required beforehand. For basic applications like printing figurines or small objects, PLA also offers a more visually attractive finish and, due to the less malleable nature, offers a shinier, smoother appearance than ABS. The only downfall of PLA is that it has a lower melting point, meaning that it can’t be utilized for printing parts that will be exposed to high temperatures – as it will likely melt, warp or distort. With that said, however, PLA tends to warp less during printing, since the differences in printing and cooling temperatures are less extreme. Available in a wide range of translucencies and colour saturations, PLA is a great plastic for 3D printing almost any object that will not be exposed to heat. With all of the benefits mentioned above, as well as higher printing speeds and lower layer heights, there is good reason why it’s one of the most popular and commonly available 3D printer materials throughout the world. As a final note, you may also want to take a look at our range of PLA+ filaments, which offer almost all of the benefits that PLA does, as well as a host of others. 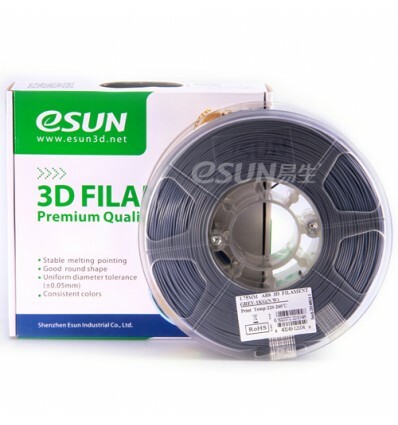 Why Buy eSUN Filament from Us? 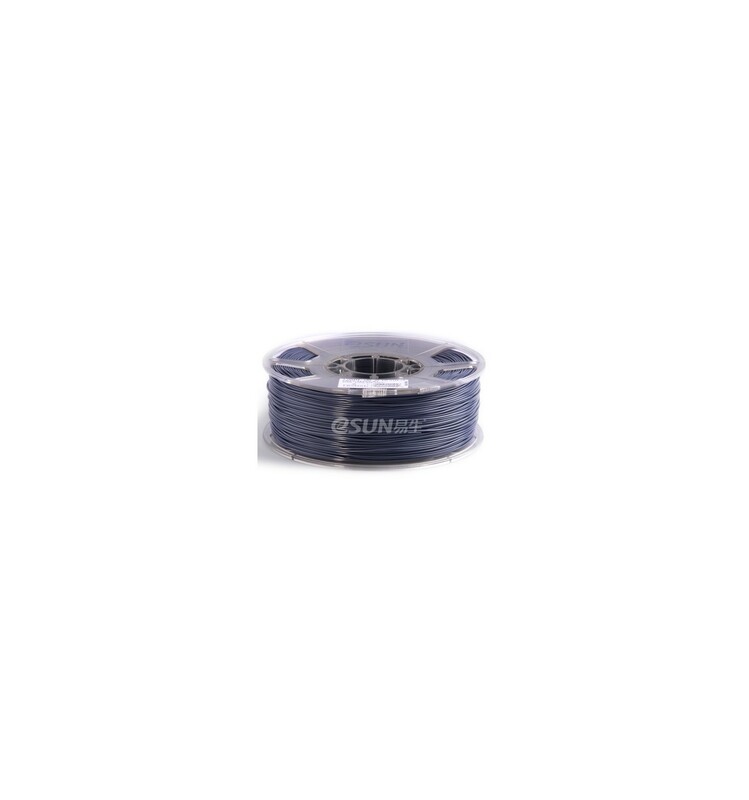 We choose to supply 3D printer filament acquired directly from eSUN, as they have proven time and time again why they are one of the leading brands in 3D printing materials. Founded in 2002, eSUN have been developing and refining their 3D printer materials since as far back as when pellets were still the popular choice. Throughout this time, they have provided OEM services for other top brands, and have made some excellent advances within the industry – including the invention of 3D printer cleaning filament. Their strict quality control checks utilize modern laser-based testing to ensure consistent quality throughout each spool of filament – with a diameter spec’ difference of as little as 0.03mm over a 330 meter sample – which directly translates to value for Makers like yourself. The many different types of eSUN 3D printer filament have been tried and tested to work with all popular makes and models of Fused Deposition Modelling printers, including their own unique eFlexy, eLastic, eNinja and the new eMorph. This ensures that almost all 3D Makers can reliably acquire eSUN 3D printer filament without having to worry about damaging their parts. Excellent Temperature Stability – Fewer defects and inconsistencies translates to a more consistent flow, which can help produce more stable, smooth and aesthetically pleasing prints. Pure, Non-Recycled Raw Materials – eSUN choose not to utilize any recycled materials at all, and only utilize pure, fresh materials. This ensures that there are never any defects in their products, and that the quality is always consistent. SGS Certified – FDA and ISO9001 approved, eSUN operates in a safe and sustainable manner to ensure safe and consistent quality products. This keeps you safe as an end-user, ensuring you don’t have to worry about unnecessary health risks. Dry, Clean and Neat Storage and Packaging – As many 3D Makers will know, keeping filament clean, dry and within a sealed container is vital, as it stops the filament from absorbing water molecules – which can easily damage printer parts or ruin prints. eSUN adhere to strict packaging protocols which ensure the filament is kept clean and dry until you decide to open them. Additionally, the spools are clear, which we have found to be very helpful when trying to estimate how much filament is left. Stringent Quality Control Checks – With modernized quality control checks that utilize lasers for enhanced accuracy, eSUN always guarantee the highest quality filament possible. And while they advertise a diameter spec’ difference of +/- 0.05mm on their 1kg, 330 meter product, in reality the difference is even smaller, often being closer to 0.03mm upon professional inspection. This directly translates to greater consistency during printing, with reduced chances of nozzle clogs or other related problems. Leaders in 3D Printing – eSUN have been in the 3D printing business for over a decade and a half now, and have had plentiful time to refine and enhance their formulations. This is demonstrated in their invention of the 3D printer cleaning filament, as well as their wide range of patented unique printing materials – such as the flexible, rubbery, metallic, luminescent and glow-in-the-dark ranges. While these are the primary reasons we choose to deal specifically with eSUN, they also offer the fantastic benefit of being one of the most affordable brands available. This allows us at DIYElectronics to pass all of these amazing benefits on to you at a great price, ensuring you can enjoy the diverse range of eSUN 3D printer filament (with guaranteed quality) without having to worry about sourcing them yourself. 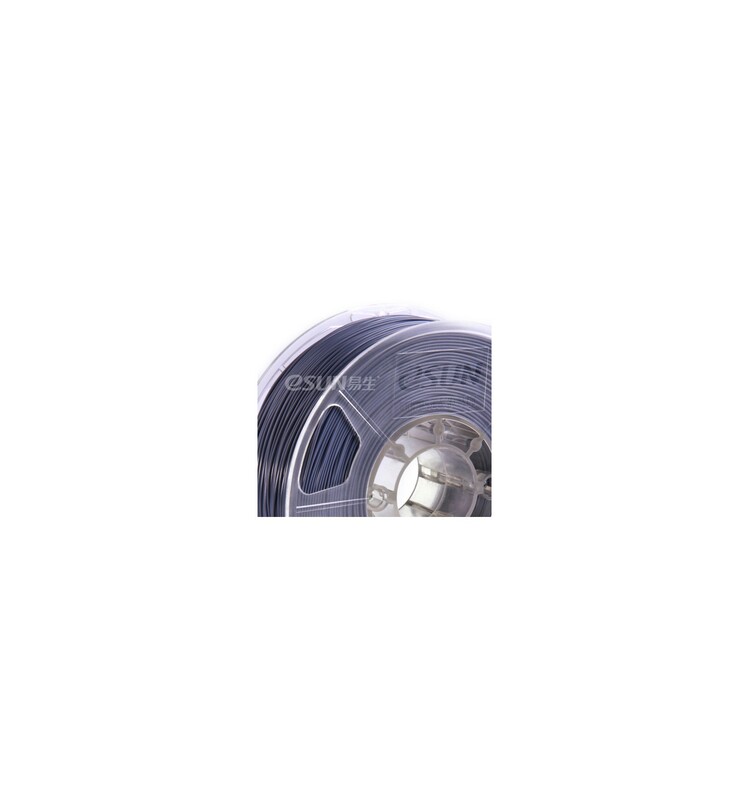 Shenzhen eSUN Industrial Co., Ltd was established in 2002 in Shenzhen Special Economic Zone and has rapidly become one of the leading international suppliers of 3D Printing Filament. They specialise in research, development and production of degradable polymer materials, and have grown their catalogue of filaments to include PLA, ABS, PC, PVA, and a wide range of other polymers and copolymers. Their list of exclusive filament formulas include unique materials like wood, aluminium, bronze and other materials to create highly specialised filaments that can stretch, bend, be moulded or otherwise behave in very unique ways. Their filaments are also commonly characterised by their absolutely round shape, extremely low diameter tolerance, uniform colours and impressively stable melting points. These characteristics, in combination with their long-term insistent policy of “Best Quality, Reasonable Price” has garnered them a large share of the market, with their reputation commonly preceding them within knowledgeable online and offline 3D Printing communities. eSUN’s popularity in the industry has also helped to produce sustainable partnerships with many internationally famous 3D Printer manufacturers and distributors, with DIYElectronics having sole distributorship rights to provide their 3D Printing Filaments to South Africa and neighbouring African countries.